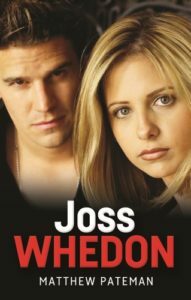 This book assesses Joss Whedon’s contribution to US television and popular culture. Examining everything from his earliest work to his most recent tweets and activist videos, it explores his complex and contradictory roles as both cult outsider and blockbuster filmmaker. Using key source material, with exclusive access to drafts of many of the episodes across Whedon’s career, as well as unique correspondence with Whedon collaborator Jane Espenson, this book offers unparalleled access to the creative process that helped produce the series Buffy the Vampire Slayer, Angel, Dollhouse and Firefly. 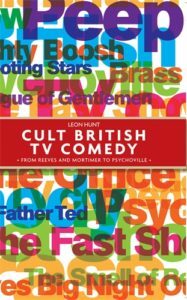 This book is the first sustained critical analysis of Cult British TV comedy from 1990 to the present day. The book examines ‘post-alternative’ comedy as both ‘cult’ and ‘quality’ TV, aimed mostly at niche audiences and often possessing a subcultural aura (comedy was famously declared ‘the new ‘rock’n’roll’ in the early ’90s). Programmes discussed include Vic Reeves Big Night Out, Peep Show, Father Ted, The Mighty Boosh, The Fast Show and Psychoville. Terry Gilliam presents a sustained examination of one of cinema’s most challenging and lauded auteurs, proposing fresh ways of seeing Gilliam that go beyond reductive readings of him as a gifted but manic fantasist. 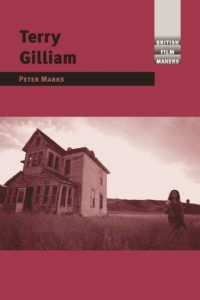 The book charts how Gilliam interweaves these genres and forms to create magical interfaces between reality and the illuminating, frightening but liberating worlds of the imagination. Creator of television series such as Shameless, Clocking Off, State of Play, Reckless, Linda Green and Children’s Ward, Paul Abbott is a British ‘showrunner’ and writer whose name and reputation for edgy, intelligent, successful and socio-political programmes holds significant weight both in the contemporary television industry and with the public. 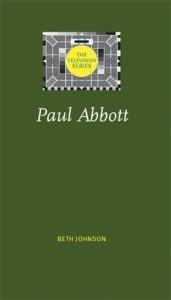 This is the first book-length academic study of the television programmes created, written by, and/or executive-produced, by Abbott. 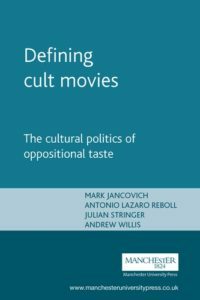 Concentrates on the analysis of cult movies, how they are defined, who defines them and the cultural politics of these definitions. Updates work on cult movies at a time when cult films and TV have become a central part of contemporary culture. Ranges over the full and entertaining gamut of cult films from Dario Argento, Spanish horror and Peter Jackson’s New Zealand gorefests to sexploitation, kung fu and sci fi flicks, as well investigations of Sharon Stone, ‘underground’ and trivia. 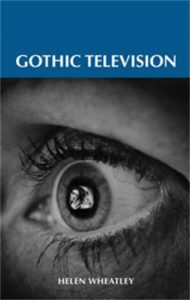 Gothic television is the first full length study of the Gothic released on British and US television. An historical account, the book combines detailed archival research with analyses of key programmes, from Mystery and Imagination and Dark Shadows, to The Woman in White and Twin Peaks, and uncovers an aspect of television drama history which has, until now, remained critically unexplored. 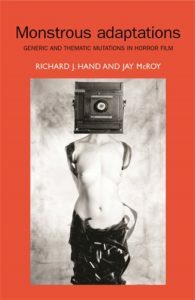 The fifteen groundbreaking essays contained in this book address the concept of adaptation in relation to horror cinema. The essays within this volume engage with an impressive range of horror texts, from the earliest silent horror films by Thomas Edison and Jean Epstein through to important contemporary phenomena, such as the western appropriation of Japanese horror motifs. Classic works by Alfred Hitchcock, David Cronenberg and Abel Ferrara receive cutting-edge re-examination, as do unjustly neglected works by Mario Bava, Guillermo del Toro and Stan Brakhage. Offers a critical reappraisal of a prolific and popular genre, as well as bringing new material into the broader field of Television Studies. Examines four major British serials: Brideshead Revisited, Pride and Prejudice, Moll Flanders and The Tenant of Wildfell Hall revealing the genre’s importance in constituting and moderating our understanding of the past and of television itself. The first sustained and coherent book on the subject in almost a decade. 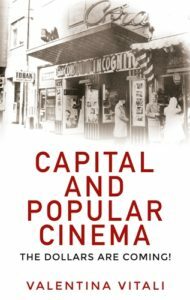 Capital and popular cinema: The dollars are coming! Popular cinema has mostly been discussed from a ‘cult’ perspective that celebrates uncritically its ‘transgressive’ qualities. Through the examination of three different cycles in film production – the Italian giallo of Mario Bava, the Mexican films of Fernando Méndez, and the Hindi horror cinema of the Ramsay Brothers – Capital and popular cinema proposes a comparative approach that accounts for the whole of a national film industry’s production (‘popular’ and ‘canonic’), and is applicable to the study of film genres globally. Catherine Deneuve is indisputably one of the world’s most celebrated actresses, both in her native France and throughout the world. In this wide-ranging and authoritative collection of essays by a selection of international film academics and writers, the Deneuve persona is scrutinised and illuminated. Beyond the glamorous iconographic status of Yves Saint Laurent’s muse, and the epitome of sexual inviolability, Deneuve’s status as actress is foregrounded. Category: Blog, Film & Media, Television, Uncategorized	0 Comments.